Library outreach can take many forms and require multiple resources, but the pay-offs can be significant. Through strategic planning, leveraging partnerships and insight into their community, Brooklyn Public Library has formed a unique mobile outreach program that is serving their broader community where they need it most. Nicholas Higgins, Director of Outreach Services for Brooklyn Public, recently described how the library combined forces with the New York Public Library, the Queens Library, and the Uni Project to bring pop-up library services to Governor’s Island, NY. Brooklyn Public’s continued outreach efforts are creating portable learning opportunities and reaching underserved populations who might not otherwise benefit from library services. Launched through a crowd-funding campaign in 2011, The Uni Project is dedicated to increasing access to books and learning by creating a culture of reading, exploration and discovery in non-traditional spaces. 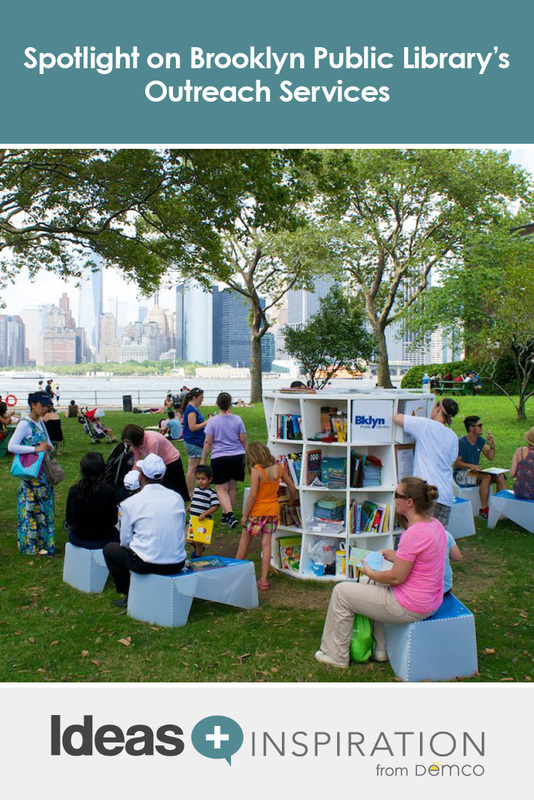 Unis are open-air pop-up reading rooms and programming venues that are deployed to public spaces, such as street plazas and parks and community events, for shared use by the public. These portable structures are designed to accommodate book displays, collections and educational activities and provide spaces for reading, learning and sharing ideas and expertise. Unis are self-contained and can be easily locked up overnight and opened in the daytime to ensure practicality. In 2013, the Uni Project founders, Leslie and Sam Davol, were awarded an Innovations in Reading Prize from the National Book Foundation for their work in creating and sustaining a lifelong love of reading. In 2013, with generous support from the Lauder Foundation, Brooklyn Public Library secured their own Uni Tower to deploy to community events, including the annual Brooklyn Book Festival at Brooklyn’s Borough Hall Plaza, as well as under-resourced communities, such as the Red Hook community after the neighborhood library was temporarily closed due to damages caused by Hurricane Sandy. These placements were huge successes with many families and children stopping by to check out books, read, listen to storytelling sessions and play games. In 2015 the Uni was included in the Brooklyn Children’s Museum exhibit More Than Meets the ‘I,’ which featured a Mini-Nano Exhibit, a cool robotic fish aquarium, motion-capture video display, and 3D-printing exhibits, among many other hands-on science-related pieces. The Uni stayed at the museum for 3 months and children and families availed themselves of the specially curated science-themed books that Outreach Services offered for the exhibit. Quite a bit of planning and cross-agency coordination went into the acquisition and coordination of the Uni Project. 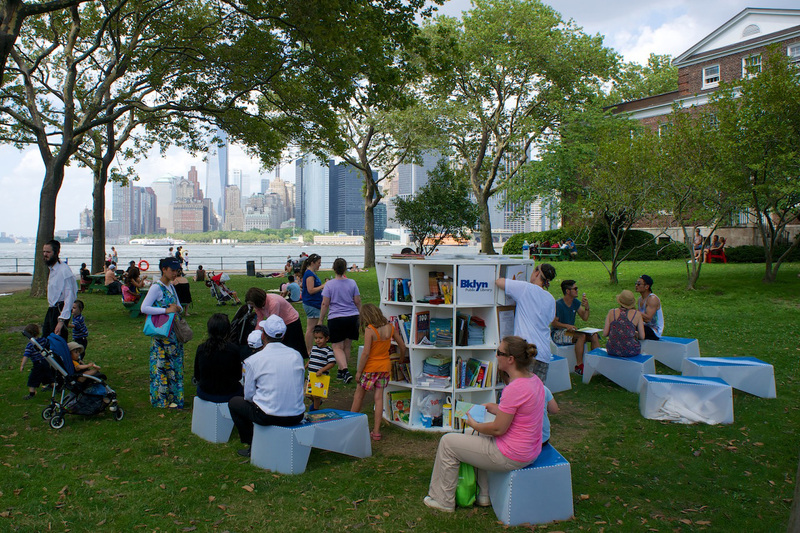 In June 2013, Brooklyn Public Library partnered with the New York Public Library and Queens Library to set-up the Uni Tower on Governor’s Island, an island in the heart of New York Harbor that provides 172 acres of open public space for recreation, education and culture. Known as Library Lawn, the Uni was open every Saturday and Sunday from 12 to 5 p.m. from June 1 through September 2. On Governor’s Island, visitors were able to borrow books for use on the island, register for library cards, sign up for the citywide summer reading program and learn about each of the three library systems. Family programming was scheduled with local arts and culture groups for every Saturday afternoon with additional programs taking place intermittently. Programs included storytelling, performances and music workshops. Brooklyn Public also deployed the Uni to the annual September Brooklyn Book Festival in Downtown Brooklyn to create a children’s reading room. The pop-up library was a huge attraction with many parents and caregivers stopping by to read to their children and borrow books. All of this planning had to be coordinated with the City Parks Department, local elected officials, community partners and our sister library systems. In April 2014, the Uni was delivered to the Brownsville Women’s Center, a homeless shelter that provides housing and supportive services for up to 66 women at one time. The Uni was placed in the community room of the facility and staffed by Brooklyn Public Library interns and shelter staff. Prior to this deployment, Outreach Services delivered a survey to shelter residents asking about collection and programming needs. From the information received, the collection was tailored to include numerous workforce readiness titles and popular fiction. Book loan and weekly drop-in job-readiness services were provided in partnership with shelter staff. Run by CAMBA, a Brooklyn-based social services non-profit, the Park Slope Women’s shelter houses up to 70 mentally-ill and homeless women at one time in the Park Slope Armory. 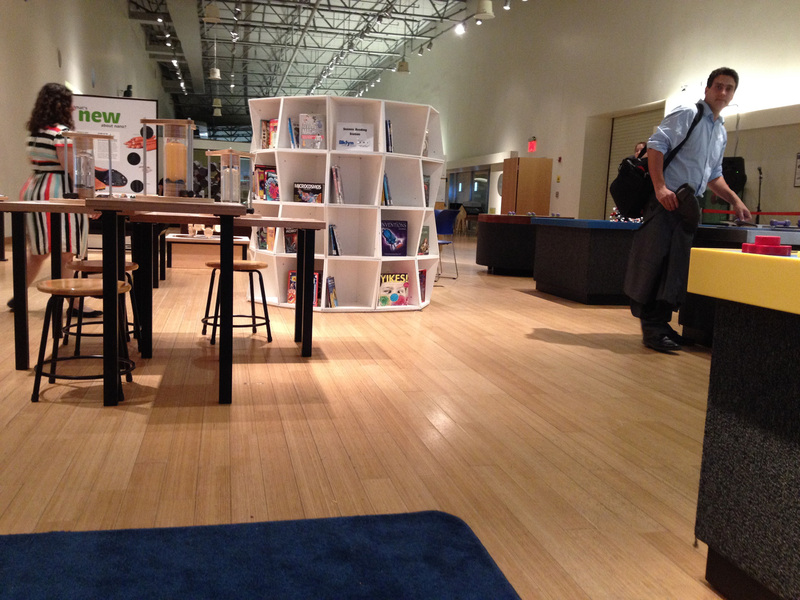 For the entire month of March, Brooklyn Public Library operated the Uni as a lending library at the shelter. Each week, Outreach Services staff provided drop-in job readiness services, including resume writing, interviewing skills and job-search strategies for residents. Books were checked out to residents by the library and shelter staff. Beginning in May 2015 and going through June, the Uni was stationed at the Alice Branch Plaza Family Shelter, operated by the non-profit organization Bushwick Economic Development Corporation, in East Flatbush. Throughout June the Uni team hosted book loan services to families and children, and provided weekly educational programs, including storytelling sessions. Recently the Uni was deployed to the Bay Parkway Community Job Center, an established hiring hall in Bensonhurst that connects small businesses and homeowners with skilled workers. The Uni now supports day laborers, who are mostly immigrants, by providing specialized and relevant technical manuals, job-readiness books and literacy instruction materials. Nicholas Higgins is the Director of Outreach Services at Brooklyn Public Library (BPL), where he oversees a unique suite of services including, services for older adults, correctional services, immigrant services and outreach to individuals and families experiencing homelessness. From 2009 to 2013, he oversaw The New York Public Library’s Correctional Services Department, developing several new programs, including mobile libraries at city jails, an early literacy and book-recording program for incarcerated parents, and "Library School," a 12-week literature class offered for men in federal prison. Nick began his career in 2006 at BPL, delivering targeted library services to children with disabilities, war veterans, job seekers and formerly incarcerated Brooklynites, while serving as librarian and Manager of Volunteer Resources. He received a MLS from the Pratt Institute and a BA in British Literature from Hunter College.